A ruthless battlemage with undead horde seeks to ensnare the kingdoms of this land. Warriors from every race must band together. 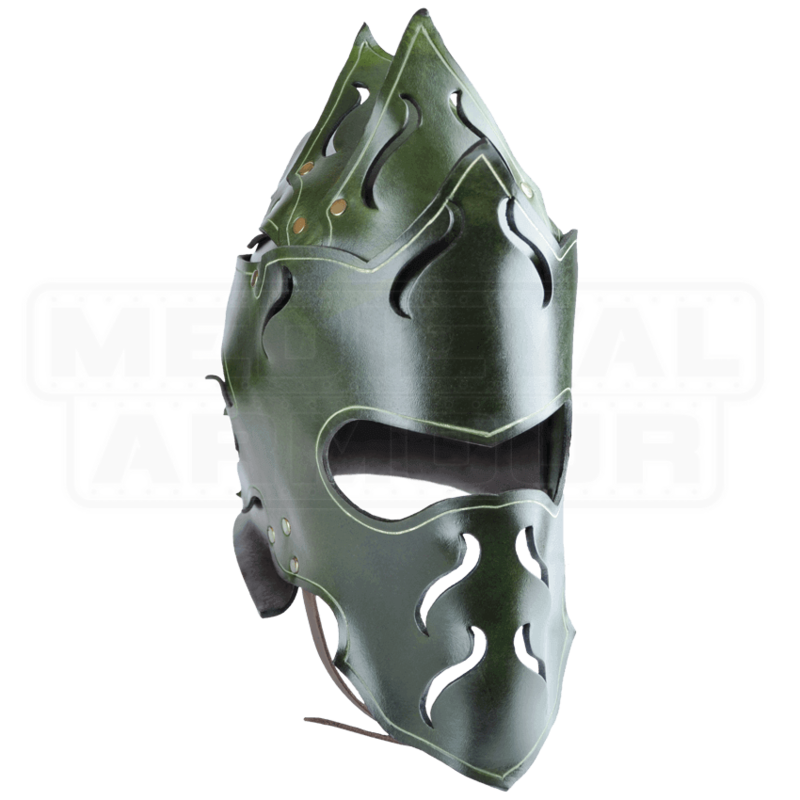 The Woodland Leather Helmet belongs to the skilled Elven guardian whose loyalty lies with the forest. Elegant leaf-like segments reinforce the crown of this stunning helmet. Its layered structure protects the head from every side. A buckle strap at the chin holds the helm firmly in place. Rivets and flared edges aide in deflecting the impact of a blow. 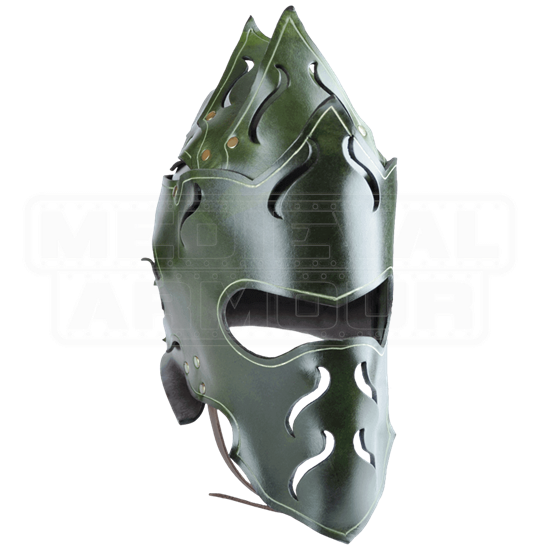 This helmet will serve the wood elf well when venturing into the LARP realm.